Uses new functions introduced in API update 6 to automatically get a list of completed quests, that means you can start using this addon at any time/level and it will "know" which quests you have completed before. Such a catasrophe has happened to one of my characters. ZOS has neither acknowledged the issue, nor restored the records to what they recorded previously. 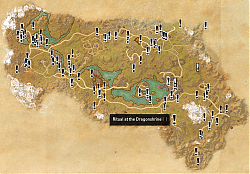 Also, the character cannot complete Cadwell's Gold because of an evident error in the megaserver's record of the game-state with regard to the quest(s) for Shinji's Scarp in Stormhaven (Daggerfall Covenant). I recommend to only use one of the two. Since the add-on by Drakanwulf is based on mine it uses the same code which might cause some weird behaviour. I have never tested using both. Last edited by vecny.samotar : 02/28/19 at 06:34 PM. I greatly appreciate your work. Please never stop. 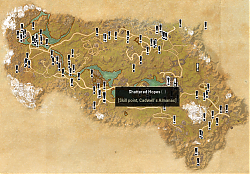 Please also add tasks from Craglornu. Cannot promise that I'll complete it this weekend though.. I wanted to thank you for your hard work. STJO has 4 comments in his history and they are @you and kinda spammy and entitled - your addon helped me get my caldwell's gold and silver prior to the new Map features (just released by ZOS) and I wanted to say thanks for that. Glad to see you back and working on this amazing addon once again! Thank you! 1) Make sure you check the box that says allow out of date addons, this is in the addon settings page before you sign into your char. I don't know if this is the correct fix but it at least allowed for pins to start showing up. Yeah I just realised that LibMapPins hasn't been updated in a while. As a workaround you can enable the option to allow out of date add-ons. 2. 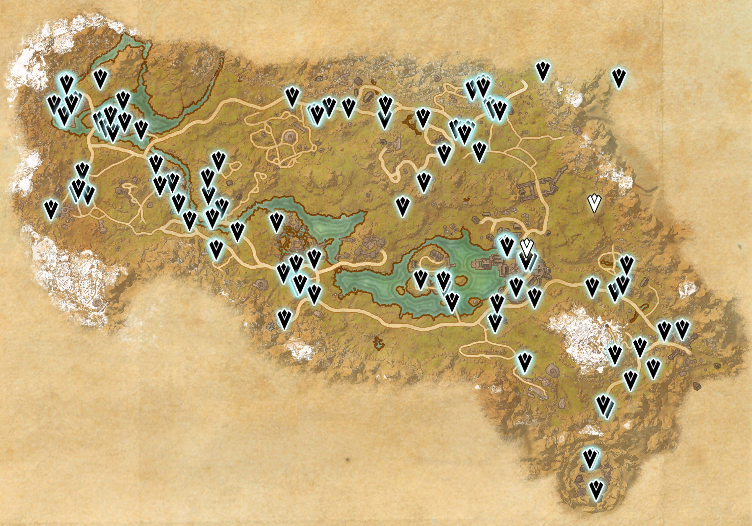 Now onto the pins LOL, OK so I am on a PC using a xbox controller, when you hover over a quest ! marker it allows you to press A for some reason, when you do it deletes the tracker. I deleted many of them testing this and even when I removed the addon and readded it to the folder those trackers never came back. How to fix? By clicking on a quest marker you can hide it. I added this feature because there are quests that can be skipped and the addon can not detect that so you have the option to manually hide it. To unhide it again, you'll first have to set the option to display the hidden quest markers. See FAQ here. If you want to unhide all markers again in the current map that you did manually hide, you can use the chat command "/qm unhide" (see add-on description). To reset all manually hidden markers on all maps, navigate to 'Settings > Addons > Quest Map' and click the 'Reset Hidden Pins' button. When you unistall an add-on, the settings are saved. So then next time you install the same add-on, you don't have to set it up again. 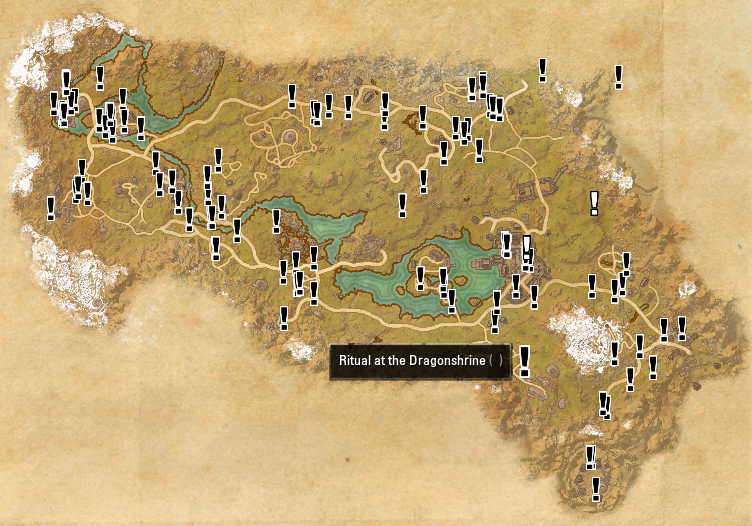 This is also the case for manually hidden quests. If you want to reset the settings, delete the file 'Elder Scrolls Online\live\SavedVariables\QuestMap.lua' or delete SavedVariables through Minion as you just found out yourself. 3. Then I was worried I might have actually removed the quests from the game because at this point I was like "ahh hell no" and was just going to remove the addon and not use it, so as a test I went to markers I did not delete and there were actually no peeps there with quests, then I went to people that clearly had markers above there heads (in game) and when I looked on the map there were no ! quest marker there. There are quests that I haven't added yet because I don't have the data ready yet. It takes time, it can't just be enabled and the data used from the game. 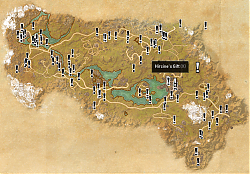 The quests locations are collected manually by helpful players. That's why there might be quests that have no marker on the map. And there might be markers that have no quest giver in the game because a prerequisite quest has not been completed yet. Because that data is not available either to the add-on and has to be collected manually too. Again, the issue is time. Same behaviour for mouse, that's intended, see answer for question 2. But you are righte, controller is not supported as good as mouse, it's also on my todo list. I may or may not use this as any given quest I go to may or may not be there because some dolt decided it was a good idea to include follow up quests. At this point this thing seems abandoned which is a shame as there are still many players out there and this is/was a useful addon, sadly it seems pretty useless at this point, would be happy to be proven wrong. You don't have to use it if you don't like it. And I don't get money or anything when people use it so I don't care how many use it. I created it for myself and if other players like it then that's nice. Last edited by CaptainBlagbird : 02/20/19 at 12:05 PM. Last edited by stjo : 02/20/19 at 11:32 AM. Do you see LibMapPins in the add-on list? Is it activated? 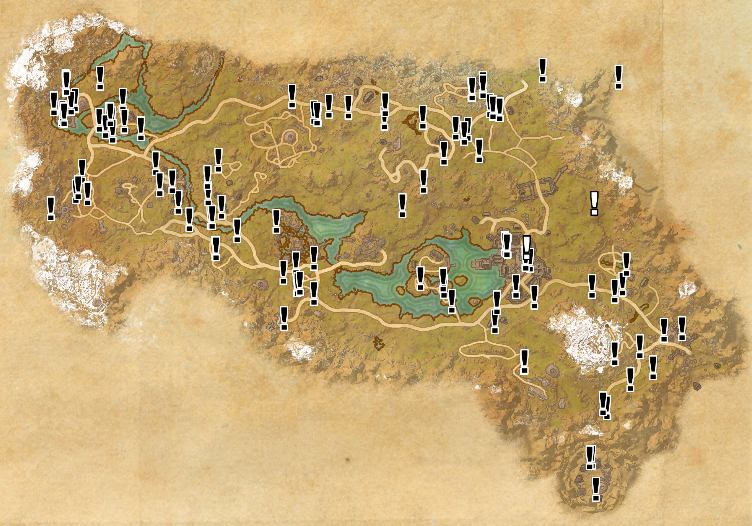 Also the LibMapPins-1.0 folder should be in the same directory as QuestMap (e.g. not inside QuestMap as it was on previous versions). Its showing up as 'LibMapPins 1.0 r17' but is out of date, but its the newest version i can find, and yes it is a seperate addon from questmap in its own folder. Make sure you check the box that says allow out of date addons, this is in the addon settings page before you sign into your char, then it should work, but I am still having other issues with it, see my recent post.